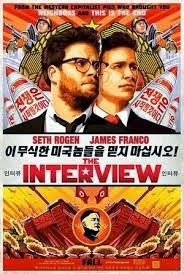 Following the bitter row between North Korea and the United States over the cyber attack on Sony because of its planned release of the movie, "The Interview", which is about an assassination attempt on Kim Jong-un. The starring Seth Rogen and James Franco, has since been pulled from release in the United States and oher parts of the world. In what appears to be some sort of retaliation promised by President Barack Obama, North Korea experienced difficulty in the last few days and total failure yeterday. However, CNET reports that 2 state-run newspapers are now back online in North Korea.